The question of background checks and tenant screening are common inquiries from both owners and potential renters alike. Everyone wants to feel assured that they are making the best possible choice, whether in the form of new tenants or a new rental property. In this post, we will briefly navigate the confusing path that leads from first application to final lease signing, specifically highlighting the tenant screening process. While directed primarily at owners and landlords, the information contained here is an excellent resource for potential renters as well. First and foremost, there are a variety of options for screening a potential tenant. Whether it be an online tenant screening website, through your property management company, and good old fashioned checking of references. The ultimate aim of screening, however, is to determine if the renter will be responsible for the reasonable upkeep property and conduct their lease obligations in a timely and professional manner. This includes, but is not limited to, paying rent on time, keeping the property relatively undamaged, and overall treating the rental property with common sense respect. The typical screening process generally includes an application, background check, and credit check. And typically there is an application fee required to apply for rental prooperty. The fee covers the cost for the screening company to pull reports, background checks, conduct reference checks, and adminstrative tasks involved with compiling all of the information for the Landlord. It is importand for landlords to know what they are getting from the screening company. For example the term “backgorund screening” or “backgound check” could include a criminal check or it may simply include a credit check and rental history verificatio. It’s important for landlords to clarify this distinction with your screening company to be sure you understand what reports they will be running for you. From there, the owner is able to make an informed decision. There are several components that make up a solid screening process for prospective tenants. These components include, but are not limited to, the following:the basic personal information on all occupants including pets and number of occupants, employment history and current employment information including income, financial information such as pay stubs and bank accounts, rental history or mortgage payment history, and references from prior Landlords if applicable. To decide on the right renter, landlords also have a right to conduct a criminal background check and an eviction check- as long as this is made clear on the rental application that the prospective renter signs providing their authorization to do so. This check will show criminal records, evictions, and assorted public records. With this information, the owner can better determine the tenant’s suitability for the rental property and evaluate the risks involved. In each step of the screening process, there may be warning flags and details that should be carefully reviewed by the owner. For example, in the credit history, the owner should take note of any bankruptcies, judgements, history of late payments, and current debt level. It is important to keep in mind, however, that financial issues should be considered on a case-by-case basis and any existence of these items are not necessarily a mark of a bad tenant although checking into it is encouraged. There may be cases where a prospective renter had run into difficult financial times but is now “back on their feet” so it is important to understand the entire picture. On a similar thread, contacting the potential tenant’s current employer can help establish the overall financial picture. Another important issue to consider is a record of rental evictions. While this can and should raise a warning flag, this is another instance where learning the backstory will better inform the ultimate decision. In addition, the owner or tenant should consider calling former landlords of the prospective renters. Beyond learning about their timeliness of payments, this is an opportunity to get to know the tenant’s a bit more- which may also contribute to screening process. Lastly, and no less importantly, the owner may consider conducting an informal interview or meet-and-greet with the prospective renter. This is best done as the last step if all other elements have been deemed satisfactory. In this conversation, you can get a better feel for the tenant’s potential suitability for your rental property. Whatever path you decide to pursue for screening potential tenants, Landlords must strictly follow the the Federal Fair Housing Act. These are clear guidelines for preventing discrimination in housing situations and provide an equal housing opportunity in accordance with fair housing laws. Talk to your tenant screening provider to learn more about this topic and get the latest information from them each time you have a need for screening the next renter as there may be new laws and guidelines that have taken affect since the last time you went through the process. Do your homework, trust your instinct, and choose wisely- you’ll be glad you did. This entry was posted in Property Management and tagged Landlords, Property Management, Rental Screening, rental services, Renter Screening, Tenant Background Checks, Tenant Placement, Tenant Sceening on February 27, 2013 by John Iannone. Boulder Rental Property Owner checklist : House, Inspection, License? If you have recently taken advantage of the lower interest rates and increased property value in the current housing market and purchased a home, then keep reading. If you are now planning to stick a “FOR RENT” sign in the fertile rental land of Boulder, then the information presented in this post is all the more indispensable for you. You must be a clever chap or lady to foresee the high-renter concentration in the Boulder area, especially in the hotspot areas surrounding CU. What many new owners in this position do not know, however, is the importance of the license. And no, we don’t mean the driver’s license. In addition, an owner that lives in Boulder County is not required to have a property agent. It is only outside of the county that a property agent must serve as property’s contact person. 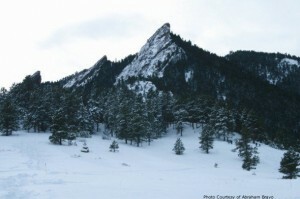 The Rental Licensing office is located in the Planning and Development Services Center in Boulder and has sporadic hours, so be sure to double check on their FAQ page before heading over. The license fee is a flat $70 regardless of the number of units within the rental property. The license requires that a Baseline Inspection is completed in order to ensure the property is safe for tenants. This inspection, done by private inspection companies, covers four major areas: general life safety, plumbing and fixtures, mechanical and electrical, and finally, fire safety. If items need to be repaired, a re-inspection will be necessary before you can pass the Baseline Inspection. Upon its successful completion, the owner is presented with the signed inspection compliance verification form, which is an integral component of the rental license application. Generally, this license must be renewed every four years with a renewal application, renewal inspection compliance verification form, a legal residency affidavit, and fee. However, if a new owner takes over the property at any point, the old license is considered null and void and a new inspection and license must be obtained. While learning about this topic may not be on the top of everyone New Year’s resolution list, it certainly is an important one. If you are an owner of a property in Boulder and want to rent it out, then consider this post and this Rental License handbook as a letter with your name of it. After you’re licensed, be sure to give us a call here at Housing Helpers so we can find the right tenants to appreciate your wonderful rental property! And remember, unless one of our rental specialists connects you with your future tenant, our listing service comes at no cost to you. We are confident we can find tenants who will adore your new property as much as you do. Housing Helpers is Colorado’s most popular rental listing service. 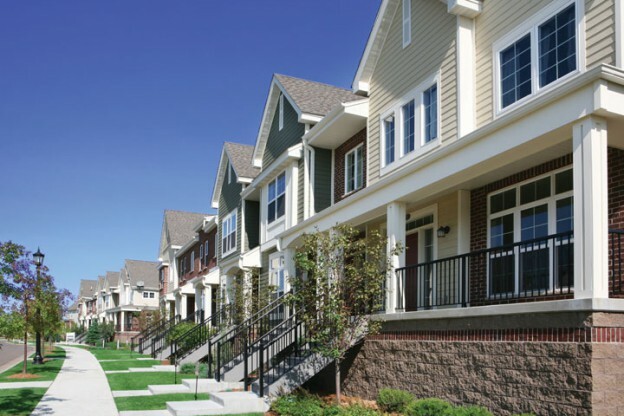 We provide Colorado Rental Property Leasing Services in Colorado for rental property owners, property managers, and property management companies in Boulder, Denver, throughout Colorado and Nevada. Each City and town in Boulder County and throughout Colorado has different rules and regulations for rental property. If you are considering renting your home or condo in Colorado start here to explore the rental property leasing services and property management services in your area. This entry was posted in Boulder, Property Management and tagged Boulder Rental License, City of Boulder, homes for rent Boulder, Landlords, Property Management, Property Management Companies, property owners, Rent Your Property, Rental License, rental property management, rental services on January 16, 2013 by John Iannone. By Stephanie Iannone at February 27, 2013 .